Double the impact of your gift at NO COST to you! 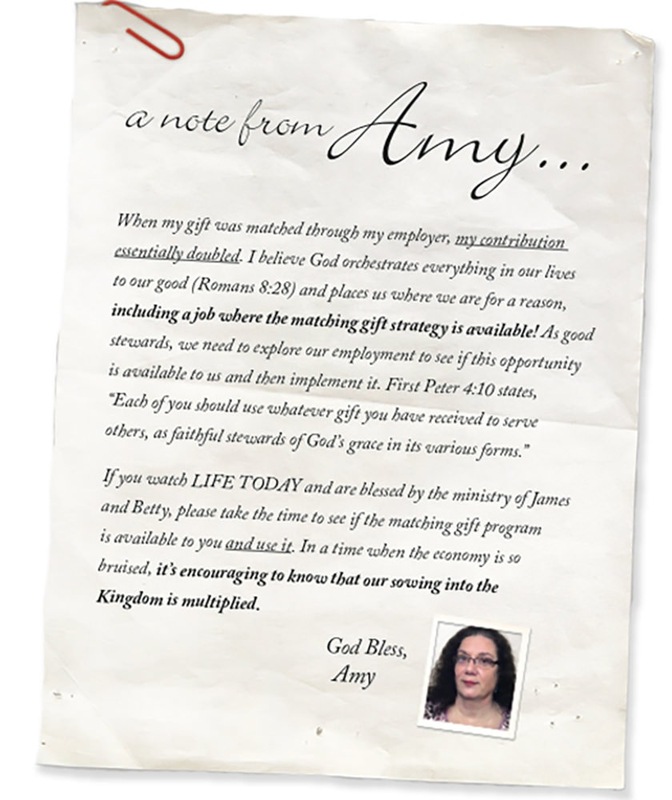 YOUR company may be one of thousands that match employee gifts to charities like LIFE Outreach! Please contact your Personnel or Human Resource Office and ask for their Matching Gift Program donation request form. Thank you! We will have an answer for you and be in touch. If your employer does not match gifts, please call Life Planning Services - Planned Giving at 817-267-4211 ext. 3700 or email us at plannedgiving@loi.org. There are other ways to give that may benefit you, with your current taxes and with a future Legacy Gifting for ministry and its missions.